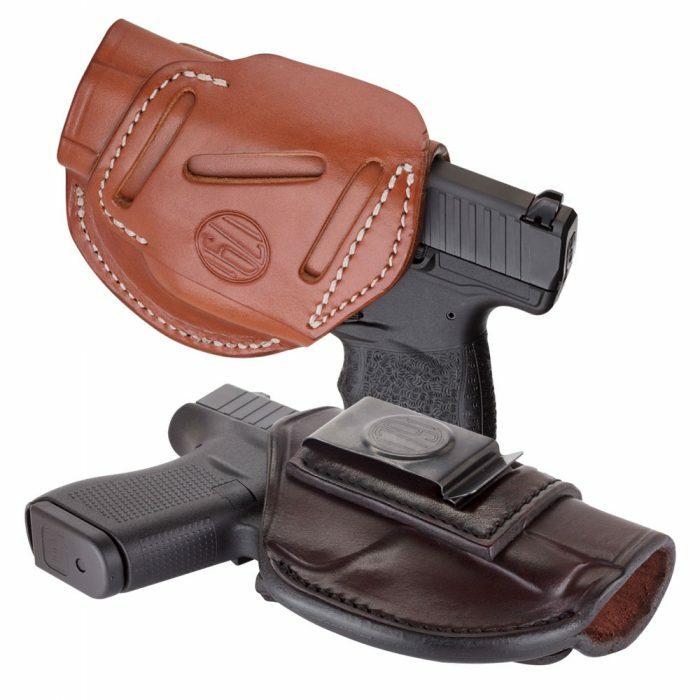 The 4-Way Concealment & Belt Leather Holster by 1791 Gunleather is the ideal balance of protection and comfort, allowing four possible positions: Vertical, Horizontal, Cross-Draw, or Inside-The-Waistband. You shouldn’t have to buy four different holsters or worry about carrying in only one position. The 4WH provides maximum flexibility with IWB and OWB carry positions available all in one sturdy, leather belt holster. 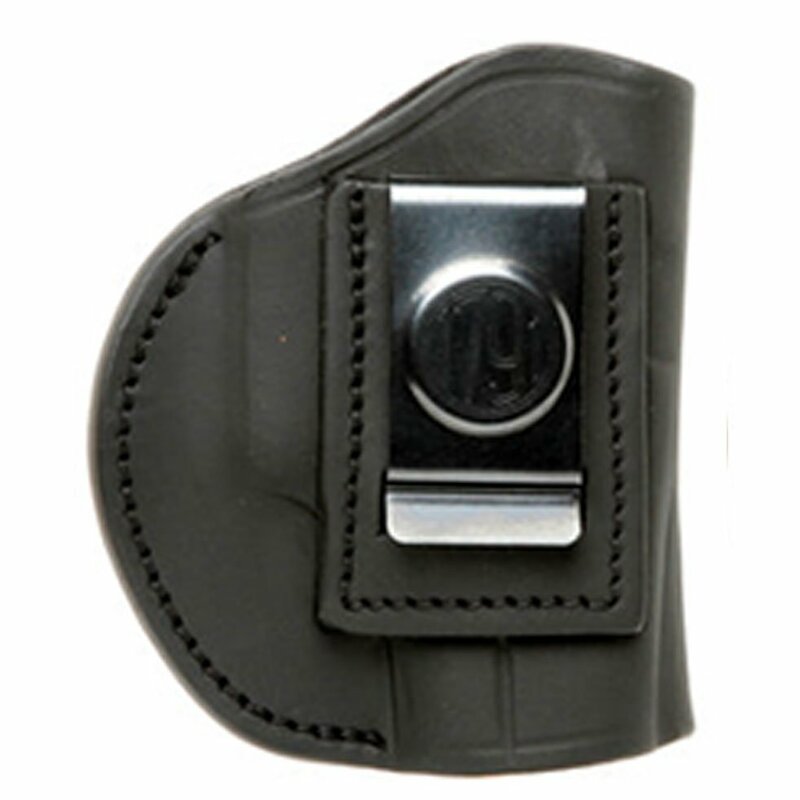 Vertical Cant is the most common OWB carry style, especially for full-size duty guns. Many carriers find the hip to be the most natural feeling draw, in line with arm and shoulder. While the gun imprint is greatest with this style, it can still be concealed beneath a jacket or sweatshirt. 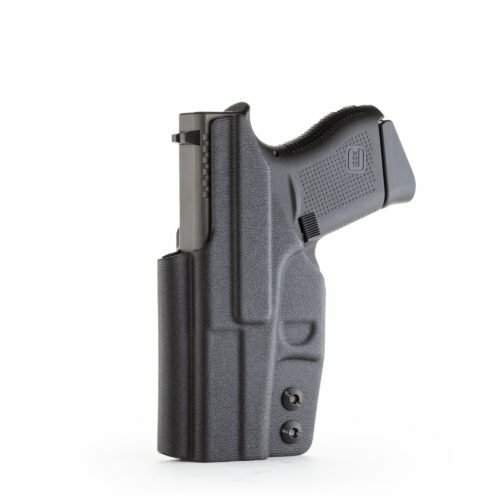 Horizontal Cant in the small of the back is a comfortable way to conceal and carry a small pistol or revolve while walking or standing. The disadvantage occurs if you’re grabbed by a perpetrator from behind, and it can take slightly longer to re-holster. The Cross-Draw Cant (on the non-dominant side) was first worn this way by ranchers who didn’t want their weapons to get in the way of their work. Today, wearers may choose cross-draw for easy access from a seated position in a vehicle, at a desk, or in a wheelchair. It’s also a great option for a second backup gun. An IWB carry style is the most concealed way of carrying for experienced users. Downsides of this carry style are that you’ll need pants that are about an inch larger than you normally wear, and you may find it’s a little less comfortable to carry for extended periods than OWB. Choose from several other options — Classic Brown, Signature Brown, or Stealth Black color, and right-hand or left-hand grip. Like all 1791 Gunleather products, you get the highest quality hand-crafted leather with 100% Certified American Heavy Native Steerhide, reinforced and double-stitched. We want you to have a sturdy holster that will last for generations. The sturdy steel clip won’t let you down. The hand-molded exterior provides superior retention and reliability. Your satisfaction is guaranteed with a lifetime warranty on craftsmanship and hassle-free returns. What makes the 4WH unique among our products is the ability to wear your weapon in four different CCW positions, allowing you the best combination of concealment, comfort, and convenience. The 4 Way Concealment & Belt Leather Holster works for the widest variety of different applications, but we also offer simple products for simple needs. 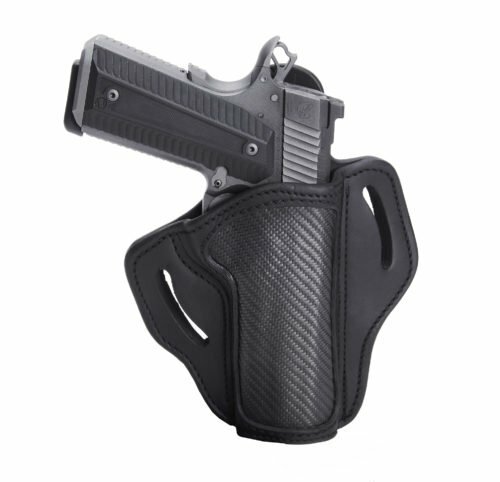 Looking for another type of concealed carry holster? 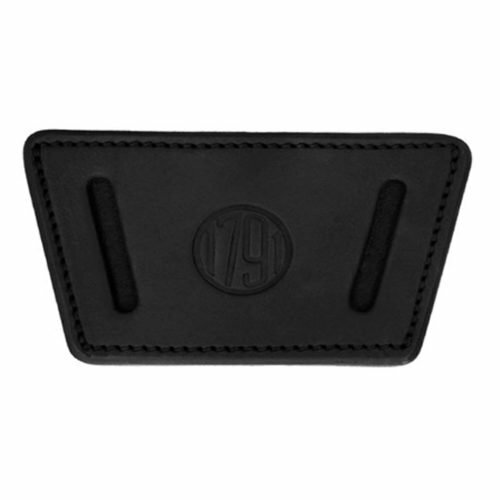 Check out the entire collection of superior quality leather holsters from 1791 Gunleather. I originally bought this holster for my nephew to carry his 1911 full size. But after getting home and testing it with my 4.25in Commander it immediately became permanent property. I’ve since picked up another one for him. The leather is top shelf. It is thick enough to guarantee years of solid performance, but supple enough to conform to the 1911 and your body in short order. It maintains its form consistently without turning into a weak floppy mess which surprised me as that seems to be the standard these days with regards to none kydex offerings on the market. It is double stitched in the high stress areas, and single stitched at the perimeter. Don’t let that fool you though. The line used is very heavy duty and holds up very well against abrasion, moisture, and flexion without degrading. The fact that this holster was designed with flexibility in use is the show stealer. I generally always carry strong side, however some unexpected weather or changes in how I’ve dressed for long motorcycle rides have forced me to also carry cross draw and IWB on a few occasions. This holster makes the transition with ease allowing my gun to always remain in a position that feels perfectly natural. Lastly, but a very high priority for some people, it looks sharp. The rich dark color goes well with just about anything, providing a well put together look that goes easily transitions with dress for all seasons and occasions. A little neetsfoot oil once a week and this holster springs right back to brand new, even after some very hot and physical hours on the job. This holster is significantly under priced for what you get. I am absolutely pleased with it’s looks, performance, durability, and style. I will be coming back to 1791 for my future holster needs. I received this holster as a birthday gift for my P226 MK25, anyone with a MK 25 knows the 1913 rail is slightly larger than on a standard P226, the break in and fitting of this holster resulted in a fantastic fit. The leather is of extreme quality and the craftsmanship is second to none. 1791 will get all of my business for gun leather needs, I am holding my new holster right now just amazed at the thickness, quality and overall attention to detail. A+ 1791, new customer for life! I picked up one of the light tan 4 Way holsters for my 9mm CZ RAMI a few months ago. Beautiful leather and very well made. I was tired of a IWB kydex holster that dug into my side, especially when I was driving. I wear this 1791 concealed at 4 o’clock position as an OWB. Very comfortable and the retention is great. I don’t worry about it falling out and the draw is very quick. Great product and hope to get one for my CV Shadow 2. Recieved my 4way concealment holster the other day. Shipping only took 2 days. Came in a great pouch and also with a great key chain. Nice touch. First look at the holster I was impressed with leather and the stitching. It fit my XDS perfectly. It has great retention with it also being easy to draw. I have only worn it IWB at about the 4 o’clock position but I am blown away at how comfortable it is. Along with having the other three positions to wear it I can say this holster could cost more and be totally worth it. Look forward to ordering holsters for my other firearms. 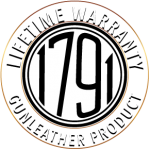 Thanks 1791 Gun Leather you have a new lifetime customer. I bought this holster for a Glock 42. It is the best holster I have ever owned.craftsmanship is second to none. Gun fit perfect in it after about a 2 day break in period. The signature brown is a very beautiful color. I bought the inside the waistband for my Glock 19 and I plan on buying one for my 686 2.5″ This is the best value going in the holster market. Definitely worthy of 5 stars. Thanks for great products at an affordable price.